The competition between messaging apps only pave way for improvements. 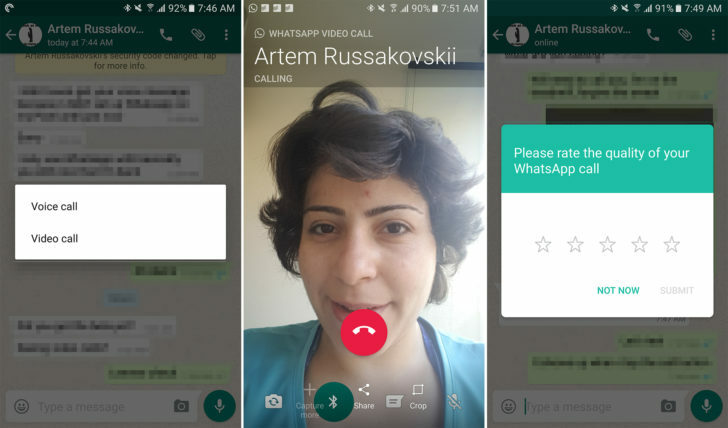 WhatsApp is set to roll out its video calling feature for Android users. On the August of this year, WhatsApp brought the video calling feature on iOS platform and ever since then, Android users have been waiting. The video call feature is now available to Android users but so far not all WhatsApps on Android platform would have the privilege to do that. The WhatsApp video calling feature is only available for those who are using the beta version of WhatsApp because the video call isn't out officially yet, its still in a beta stage. You can click here to get the latest version of WhatsApp beta. So far people are recording success in the video call. When you place a video call and the person on the other end doesn't have video calling enabled, they would get a voice call instead though you would still be able to see the UI. Some people using the beta version might still encounter error in the video call so here's a little trick to bypass that. 4. Now force close the WhatsApp and launch it. Now the video call feature should be enabled.